Pilloholics you will ever meet! a new home and its so fun to watch her plans unfold. 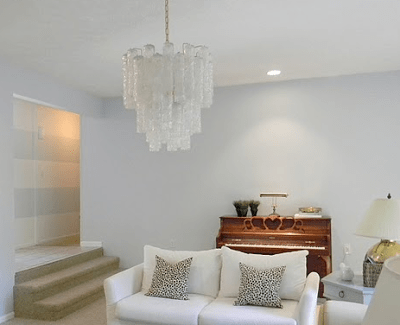 Notice the new horizontal stripes in the hallway and chandelier? Mary Ann designs and I was beyond thrilled to be included. my pillow addiction with some tips. feel frozen when it comes to combining patterns??? I am always a fan of breaking “the rules” when it comes to design. But if you’re feeling stuck, here are some rules to follow. 1) It’s all about proportions! Start with a large print that you love, like the peacock fabric below. 2) Next, chose a medium and small print that are different than the large. For example, if you use a large floral, then you’ll need a medium geometric, and a small stripe. 3) When selecting a solid I always look for texture. Velvet, mohair, linen,and wool will help your room feel finished and sophisticated. If every fabric is the same texture it can get boring. 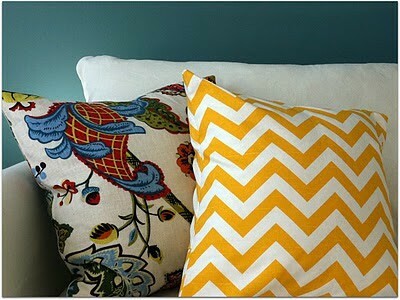 I hope you pillow addicts are inspired to keep mixing your colors and patterns! If there are any pillows you like, simply click on the board and scroll down. They are each linked to the source. 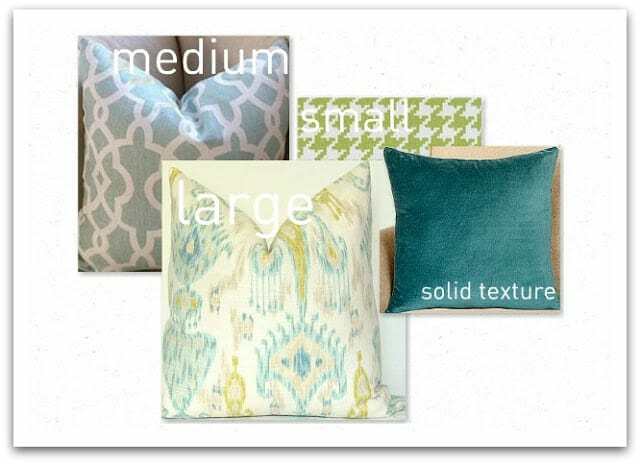 We recently moved, and only now have we gotten our home to what I like to call “baseline” so I’m still making decorating decisions like which pillows to buy. 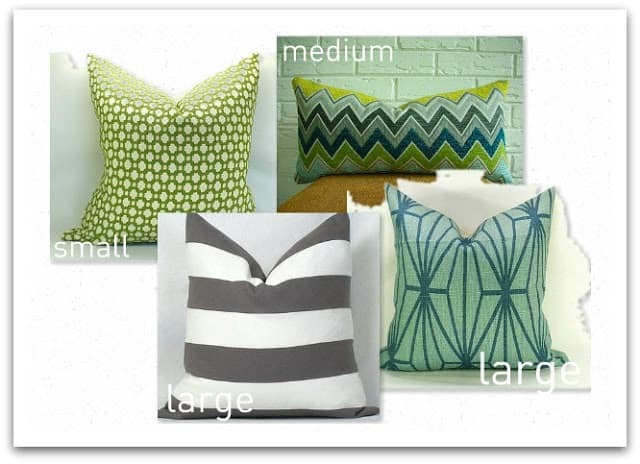 Today I shared pillows I would love to have in our living room and I hope you would too! GREAT TIPS for combining patterns/textures. seeing on her sofa next? I enjoyed reading what all the pillow addicts have to say! Great idea Mary Ann! Great advice- easy to understand. I adore Abby and her pillows are perfect! Enjoy your weekend! Thanks so much for having me! I'll be sad to see the series end. Abby has great taste, and I love her fabric selections and suggestions. This has been a fun series, Mary Ann. I'm very comforted by the knowledge that so many others share my pillow addiction! Fantastic post, and I so agree about a solid pillow being a texture of some sort to keep things interesting! 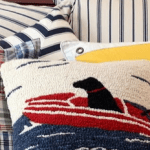 Your home is beautiful and I love your ideas on how to make pillows work. This is a great series and I love seeing Abby contributing to it. I'm also excited to see what she chooses for her own home – the color palette is so pretty. The Betwixt board is my favorite I think – great tips Abby! I have to admit, I have a bit of an addiction. Pillows, pillows everywhere. They just complete a room. You have to have a pillow or to me something is missing. Great tips — I love Abby and am thrilled to find your blog! Good, concise, foolproof advice on mixing patterns. Thanks! Abby is a doll! It's fun to share her excitement as she decorates her new home! Love all her beautiful pillow selections and tips! Abby should open a pillow shop – so I have a good place to buy wonderful pillows from! I am more into pillows than shoes!!! Mary Ann, you have an open invitation to join Maryanne and myself – any time! 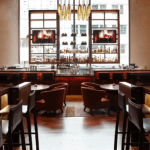 – for lots of "Champagna" and Brie. I know that you are a delight! I have so little time for blog hopping, but it will hopefully get better now when all 3 kids are in school. Great advice – and I follow and love both of your blogs! Have a wonderful weekend! Good reading. Love the pillows you chose to share. 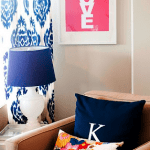 Of course these are fantastic tips, Abby is a decorating genius! 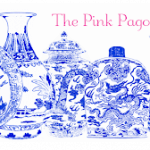 It was her adorable mix of pillows that first attracted me to her fabulous blog! Love it! Love,love,love the combination with the peacock pillow. Everyone has their techniques to share that bridge a new understanding and ignite a love into a passion. Great series, great guest posts and who could ask for more as we move inside our homes on the last Sunday of Summer. The fabrics are just to die for! Love them! Those are great tips- thanks Abby! I love pillows and make sure they are full and poufy! fantastic post, Abby! I love the combination in your first example, so much energy! Gorgeous pillows!!! And great tips Abby! I will definitely visit your blog! Awesome post Abby…love all the selections you put together!!! 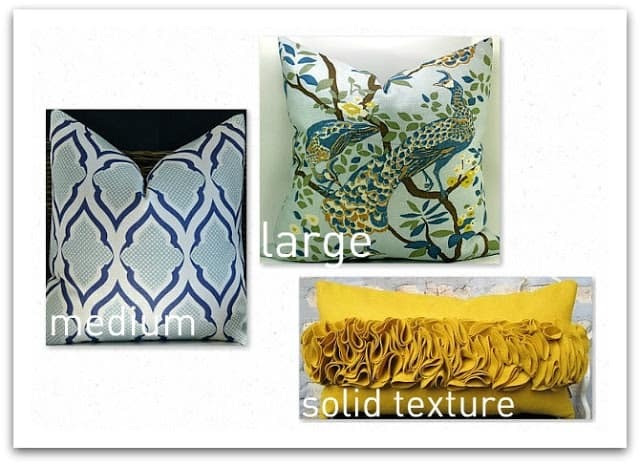 Great combo of color and texture in these pillows! Extremely inspiring!